What wonderful packaging! This is Naval brand ’bacalhau’ as Mr Nero, its Portuguese producer would call it. His forbears began curing fish in 1680! We call it salt cod and it’s certainly the quickest way to get into this delicacy. No soaking necessary - just open and eat. Have it for lunch or divide onto biscuits as an appetiser. In olive oil. A unique taste. 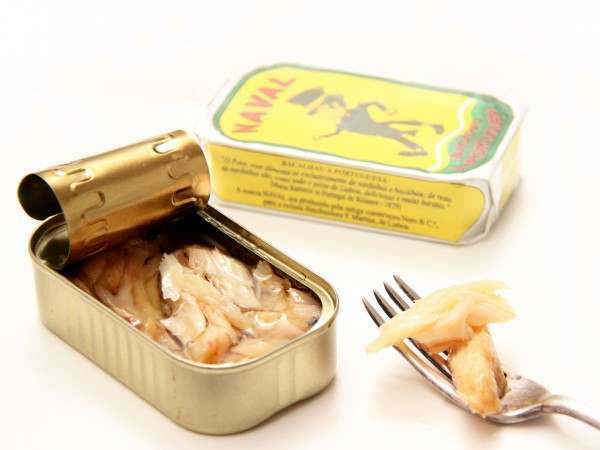 Related links to "Salt cod in a tin (Bacalao)"